New editions of The Laurel yearbook from Millbrook High School in Raleigh, North Carolina, are now online at DigitalNC. They span from 1955 to 1969, and were provided by our partner Olivia Raney Local History Library. 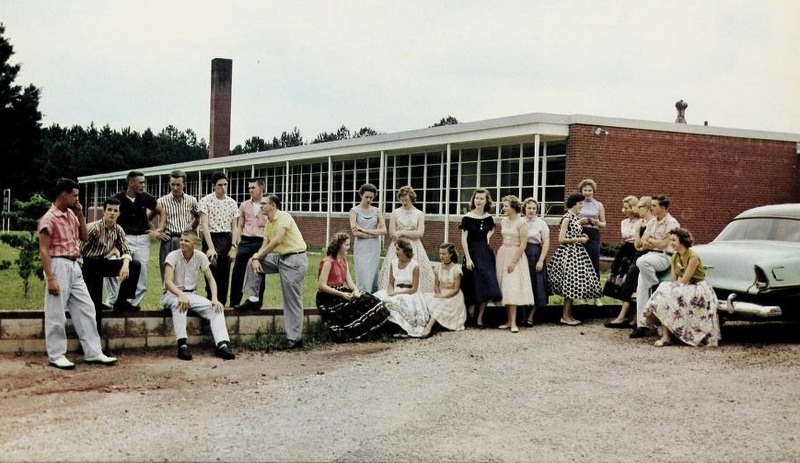 A photo of the Millbrook High School class of 1958. Millbrook High School was opened in the fall of 1922. More buildings were added to it in the 1930s and 1940s, and it still operates in Raleigh today. These yearbooks contain student portraits, class portraits, sports photos, and photos of activities and school groups. They also have class histories, and class prophecies, where the students imagined they would be in the future. Like all yearbooks on DigitalNC, they are full text-searchable. Click here to view the rest of the yearbooks from Millbrook High School. To learn more about the Olivia Raney Local History Library, visit their partner page and take a look at their website.